Sorry, Potter fans. 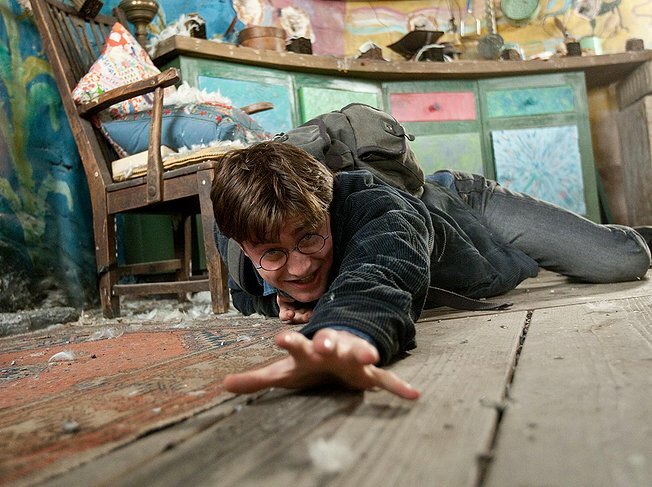 Part one of Harry Potter and the Deathly Hallows will not be shown in 3D. However, Warner Bros. announced that it will still be shown on IMAX certified screens despite only being in 2D. Their original intent was to show both parts of the final Harry Potter chapter in 3D, but time has gotten the best of them and there is no way that they could convert it in its entirety and in high quality before its November release date. Part Two is still slated to open in 3D next summer. Along with Warner Bros.’s official statement, director David Yates also commented, “This decision, which we completely support, underscores the fact that Warner Bros. has always put quality first.” After the poor 3D quality of other transferred films Clash of the Titans and The Last Airbender, many are excited about the lack of the 3D – me being one of them. What’s your take? Did you want to see it in 3D, or do you dislike the third dimension as much as I do? Harry Potter and the Deathly Hallows: Part One opens nationwide on Nov. 19, 2010.